Nenad Cetkovic is the COO of Lengow and in charge of all operations at Lengow. 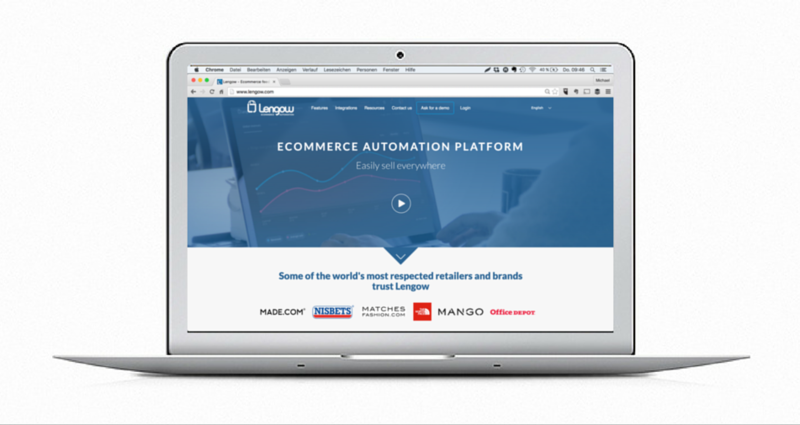 Lengow is based in Paris and offers solutions for e-commerce automation. At NEOCOM 2016, Lengow will again have a significant presence as a supplier to the e-commerce and multichannel industry. 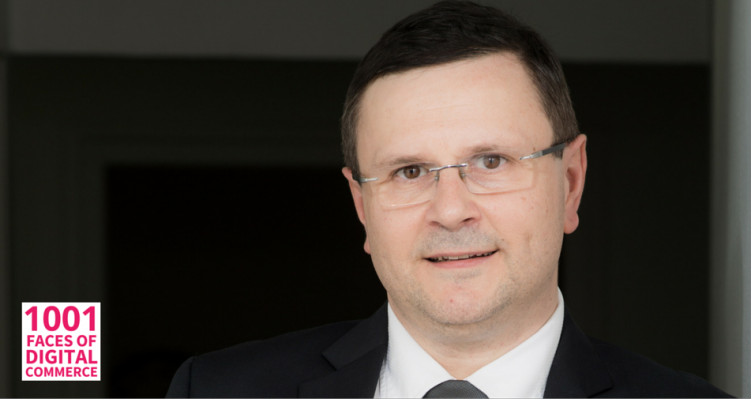 In the uprun to NEOCOM, we spoke with Nenad Cetkovic not only about Lengow market strategies, but also about what makes him love the e-commerce sector. You prefer a short version? Just click on the video below! NEOCOM: Nenad Cetkovic, what kind of problems does your company solve? Nenad Cetkovic: “Our company answer to a need of merchants: How do I perform best in promoting my products all across the world, on all kind of marketing channels. These may be price comparison software and services, market places, re-targeting platforms or any kind of advertising mechanism or technology. We take the product catalogue, we optimize the format of this product catalogue in order to fit exactly the requirement of the partner on the other side. Lengow is a Software-as-a-Service solution. The merchants can send their data to more than 2.000 different channels in an appropriate way. If you want to sell in Russia to Yandex, if you want to sell in Germany to Hitmeister, if you want to sell in UK to Marks&Spencer or if you want to sell on Amazon or, say, in China to Tmall: We help you optimize the content of this product catalogue to make sure it fits exactly with the need of this channel. The second thing we do: Everything we send out is tracked back. Our merchants have a real-time dashboard in Lengow. They can see all the interaction across their campaigns with the product catalogues, everywhere. So they can know in real-time the number of times the product was viewed, clicked or bought. They can have a view in real-time on cost of acquisition and compare on a product level, on a country level, on a catalogue- or sub-catalogue-level. Thirdly, we have a unique back office which offers merchants the opportunity to optimize the content of their product catalogues. Let me give you an example: If I send a product to a price comparison service, and it gets more than 100 clicks a day but it can sell at less than 4 percent conversion, this is a nice product on which people click a lot but they don’t buy. So I want to take this product away from this channel because I am losing money. This is a very simple way of optimization. We can handle that on a product catalogue level and manage it every time the product feed is regenerated. NEOCOM: Can you give us an example of a customer who is particularly successful implementing your products and services? What are their success factors? Nenad Cetkovic: “We have a global customer base of more than 3.600 merchants. In the fashion sector, we have a huge catalogue of brands ranging from Ted Baker, Mango to Orsay. But I would like to focus more on a recent client which is called JustFab. It is one of our US clients, a company created ca. six years ago. JustFab is an online subscription fashion retailer which sells shoes, bags, jewellery and jeans. Up until recently, they just focussed on shoes. When the group developed its other sections, they represented only 5 percent of its activities. We helped them to develop these sections online by helping them promote this catalogue. The figures went up to 25 percent. With JustFab, we started in summer last year, and their products were just on one or two product comparison engines. Their feeds were managed internally by people from the team and they had no real support on that kind of approach. When they switched to Lengow, they were able to manage variations of their products in order to create a kind of article per color and per size which is something very critical on marketplaces if you want to sell on them. So we optimized their product catalogue and they achieved a better visibility which had them boost their sales. NEOCOM: What can the visitors of your NEOCOM 2016 booth look forward to? Nenad Cetkovic: “At NEOCOM this year, our German team will be present. We have a centralized team in Paris but dedicated teams for each market. We will introduce our new Lengow e-commerce automation platform at this show. The idea is to take our product-management solution to its next level. The platform will give much more power to big retailers. You need to have some strong powerhorse to be able to handle large product feeds. We want to help our customers sell online and across the globe very easily and in an intuitive way. But the key feature about Lengow is that we want to empower the merchants whatever the size may be. Our smallest clients only have a couple of hundreds of products in catalogues. The solution is very cost-effective and low-cost, depending on the scale of the catalogue. When you go for Lengow you can find all the platforms you may want to sell your product on – if you want to go to Brazil, if you want to go to Poland, to Spain, to Netherlands, to France. Our clients are active in more than 43 countries. Where ever you want to go in Europe, Latin America or Asia, our platform offers a set of tools which are unique and a set of partners who enable you to be effective online really quickly. You don’t need to speak 20 languages to sell in 20 countries. You have all your orders coming back just in Lengow, so you can get all your orders back in one place and manage them efficiently and very rapidly. Another initiative that we’ll introduce at NEOCOM is a new offer called “Startin’ China”. It is a simplified way for merchants from Europe to go to China. China is a very promising market, with figures which are simply enormous. But it is a very complex market. Nobody really understands the language, nobody understands the text. You need to translate your catalogue. NEOCOM: On a more personal level: What brought you into e-Commerce, Nenad Cetkovic?